Lindaman's has been around for a while, and it's definitely still one of the most interesting places in Spokane. I say "interesting" because it's such a mix of average and greatness. The ding-food, for example, all warmed up by microwaves is not worth your time. A recent experience with a Mediterranean chicken was... Not good. The plate had been sitting in a display case for too long, and after it came out of the microwave -- with a ding and all -- it was just one big let down. Soggy. Flavorless. Pointless. So, no, if you go there to eat, try one of their salads instead. Granted, they're far from mindblowing, but definitely edible. Here is really where average comes to mind. Not bad. Not great. But something you can eat without being scared. 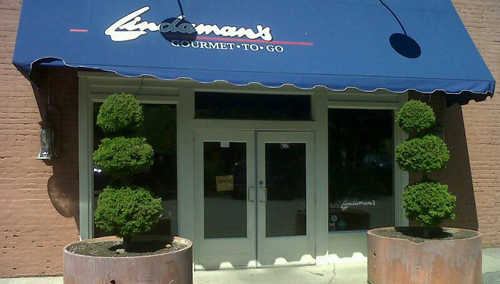 The reason you want to go to Lindaman's is the coffee and the baked goods. Few places in Spokane does coffee right, but Lindaman's has it down. Here you can get real macchiatos -- Starbucks has ruined that word for most of us -- wonderfully pulled with DOMA. We're fans. Cappuccinos, too, are made the way they should be made. Expect a bit of a wait for your coffee, and revel in the fact that is how it should be. And pair it with a cookie, possibly a seasalt chocolate one. It's a good way to live. Do you recommend Lindaman's? Make your voice heard!